Grigor Dimitrov is a Bulgarian tennis player, one of the best players in the world. In November 2017, he was regarded as #3 in the ATP singles ranking, being the first Bulgarian to do that. 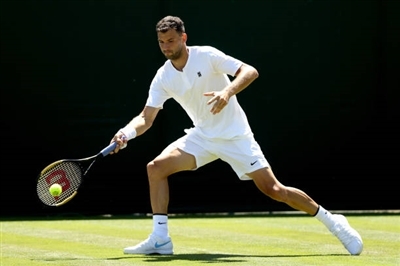 Grigor Dimitrov was born on May 16, 1991, in Haskovo, Bulgaria, in the family of Dimitar, a tennis coach, and Maria, a sports teacher and former volleyball player. He tried to play tennis for the first time at the age of 3. At 5, he started to practice daily. In 2005, he was called the best young tennis player in Bulgaria after winning his first major junior cup, U14 European title. In 2006, he won the U16 Orange Bowl and in a year, Dimitrov was called the Eddie Herr International Rising Star. In 2008, Grigor participated in his first Grand Slam events. First, he got to the quarterfinal at Roland Garros. Later, he won the boys’ singles final at 2008 Wimbledon. That victory was the player’s ticket to the 2009 Wimbledon men’s draw. And after winning the US Open, the Bulgarian announced the start of his professional career. In 2013, Grigor Dimitrov gained his first ATP title at If Stockholm Open after defeating top seed David Ferrer in the final. He became the first ever male Bulgarian player to win such a title and rose in the world rankings to #22. In 2014, he became a winner of the Acapulco hard court event and Queens grass court event. At 2014 Wimbledon, Dimitrov reached his first grand Slam semifinal, but lost to Novak Djokovic. He rose to the 9th place in the ATP rankings. After an unsuccessful 2015 season and start of 2016 season, the athlete started his resurgence. He got to the semifinal of Western & Southern Open, but was defeated by Marin Cilic. He was a finalist of China Open, but lost to Andy Murray. Also, he reached the semifinal at the Stockholm Open. Grigor Dimitrov started the 2017 season with winning the title at Brisbane International. He reached the final at the Stockholm Open, semifinals at Australian Open, China Open, the Queens Club event, quarterfinals at the Shanghai Masters as well as got to the 4th round of Wimbledon. Grigor also won Sofia Open and gained his first Masters 1000 title in Cincinnati. 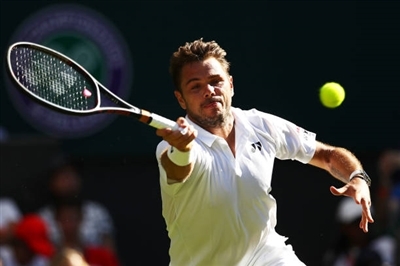 Moreover, he won the biggest title of his career at 2017 ATP Finals and rose in the ranking to #3. In 2018, Grigor was a finalist at Rotterdam Open, but lost to Roger Federer. Also, he reached semifinals at Brisbane and Monte-Carlo Masters. Representing Bulgaria internationally, Grigor Dimitrov took part in 2012 and 2016 Olympic Games as well as took part in Davis Cup events. In 2014 and 2017, Grigor was called Bulgarian Sportsperson of the Year.